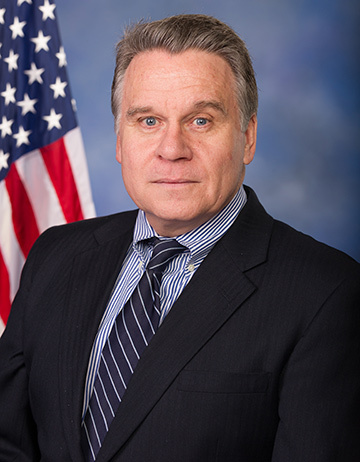 Yesterday National Right to Life congratulated pro-life champion Rep. Chris Smith for introducing the Pain-Capable Unborn Child Protection Act into the House. Rep. Smith (R-NJ), co-chairman of the House Pro-Life Caucus, pointed out how the measure is solidly supported by the American public. Rep. Smith’s bill contains additional provisions to ensure that two physicians are present to provide care to an unborn child who survives an abortion, and states that the baby must be transported and admitted to a hospital. The Pain-Capable Unborn Child Protection Act is one of the Movement’s top congressional priorities for the 116th Congress. The proposed federal law, as do the state pain-capable bills, would generally extend legal protection to unborn humans beginning at 20 weeks fetal age (22 weeks of pregnancy), based on congressional findings that by that point (and even earlier) the unborn child has the capacity to experience great pain during an abortion. The Pain-Capable Unborn Child Protection Act was developed from National Right to Life’s model. The legislation has previously passed the U.S. House of Representatives and has garnered a majority of votes in the U.S. Senate. As the measure goes forward, we can anticipate a snowstorm of misdirection, a blizzard of misinformation, and a whiteout of lies. For example, the two-fold organizing principle that undergirds the pro-abortion playbook will be on display in force: an appeal to authority (which we will address next week) and rhetorical sleight of hand. We will hear how the Medical Establishment is firm in its preordained conviction that a 20-week old unborn child can’t experience horrific pain as she is ripped apart. Indeed some go so far as to insist the child can’t experience pain until the 29th week–or perhaps not until birth! By 20 weeks after fertilization, all the physical structures necessary to experience pain have developed. Unborn children at 20 weeks fetal age react to painful stimuli, and their hormonal reactions consistent with pain can be measured. For the purposes of surgery on unborn children, fetal anesthesia is routinely administered and is associated with a decrease in stress hormones compared to their level when painful stimuli are applied without such anesthesia. Supplementing this is the insistence that abortions at 20 weeks (and beyond!) are as rare as births are at Planned Parenthood. But, of course, these abortions aren’t “rare” at all. Based purely on published surveys, there are about 275 sites that provide abortions past the 20-week fetal age (22 weeks LMP) line contained in H.R. 36. But there are reasons to believe that such surveys under-estimate the prevalence of late abortions. There is growing evidence that they are far more common than most people want to believe. Remember that abortionists have zero incentive to accurately date how old the baby is. In addition, many of the states that abort the most babies have no reporting requirements! So whatever number is tossed out will radically underestimate the number of abortions performed at 20 weeks and beyond. An additional point to buttress how totally misleading is this idea that post-20 week abortions are rare. NRL News Today has written a small library worth of stories about convicted murderer, Philadelphia abortionist Kermit Gosnell. We quoted most of a 200+ page Grand Jury report on a man eventually convicted of three counts of first-degree murder and one count of involuntary manslaughter. On page 171, we read that for the years 2000-2010, Gosnell reported one second-trimester abortion. Yet it appears (pp. 26-27, 88) that Gosnell probably performed thousands of second-trimester and third-trimester abortions during that decade. Multiple other practitioners who perform large volumes of late abortions have also failed to report or not been required to report. Conclusion is the same: an untold but large number of second and third trimester abortions are not reported. We will have more to say in the weeks to come about how disingenuous are the leading medical organizations. Just do not allow yourself to be fooled by the pro-abortion propaganda line that will be reflexively, uncritically, and with enthusiasm reported by the Establishment Media.